We invite you to meet The 2016 American Business Awards Management Awards judging chair and committee. Now through the end of April, the professionals listed below will determine the Stevie Award winners in more than 40 categories for executives, management teams, and more. See the full list of categories they will be reviewing at the end of the post. In 2011, after more than two decades marked by substantial achievement within and outside the Professional Employer Organization (PEO) industry, Jay set out to build a new kind of PEO where quality service would be the driving focus of everything. That PEO is Engage. Today, Engage is one of the fastest-growing companies in the country. Before forming Engage, Jay was president and CEO of AlphaStaff, a PEO, which he grew from a small player to a top-five industry leader. Jay sold the company in 2008 to a private equity group. Prior to AlphaStaff, Jay was president and CEO of OneChem, a software application provider to the chemical industry. He also was managing partner of his own successful law firm, which specialized, in employment and commercial law. Among his numerous leadership awards, Jay most recently received the Gold Stevie® Award for Executive of the Year in the 2015 American Business Awards, and the Gold Award for Chief Executive Officer of the Year in the 2015 Golden Bridge Awards. Jay is a previous member of the board of directors of the Employee Services Assurance Corporation (ESAC), the accrediting body for the PEO industry; and the National Association of Professional Employer Organizations (NAPEO). Christine Barney is CEO of rbb Communications, a four-time national Agency of the Year winner and Champion of Breakout Brands (TM). Barney develops marketing/communications programs for brands including DHL Express, Hilton, Mrs. Butterworths and Thomson Reuters. Barneys employee-driven workplace philosophy makes the firm a repeated best-place-to-work company. Dr. Kevin S. Chen is currently the President / CEO of Business Methods Corporation (A Management Consulting and Promotional Marketing/Advertising Specialties firm). Dr. Chen is currently the First Vice-Chair of the Better Business Bureau of New Jersey and a member of several academic business advisory councils. He also teaches Master and Doctoral level courses at several colleges. Drew Dippolito is the founder of Active Leadership LLC - a recent start-up focused on leadership development and the acquisition, development and retention of talent. The Management Feedback System is our flagship product. Drew was VP-HR at Deutsche Post DHL - one of the largest 15 employers in the world. Drew has an MBA from the University of Michigan at Ann Arbor. Chargebacks911, Clearwater, Florida, USA|Monica Eaton-Cardone is an author, speaker, and international entrepreneur. She specializes in creating agile, innovative products and technology systems to help merchants minimize risk and optimize profitability. Currently, Monica serves as COO of one of her recent business developments, Chargebacks911, a chargeback prevention and friendly fraud remediation firm. Dr. Carlos Hakim is a neuroscientist and biomedical engineer who is dedicated to the study of the hydraulic aspects of the cranial cavity. He has co-developed micro-implantable devices for the treatment of hydrocephalus and Normal Pressure Hydrocephalus, a treatable type of dementia, which is frequently misdiagnosed as Alzheimers Disease. His company is presently working towards a better understanding of these medical problems as well as developing more advanced systems for their treatment. 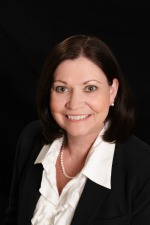 Danita Harn, founder and CEO of Harn And Associates, has many years of experience in business across various market verticals from the gaming industry to SaaS and Commercial Real Estate. She has an extensive portfolio of hands-on experience and expertise in both ongoing operations management and rapid corporate growth. Danita served in executive positions tasked with financial turn-around tactics within a complex professional employer organization and a gaming casino. She was also the owner of 3 small companies simultaneously. +10 years of Customer Service Experience in Retail / Contact Center / Customer Care environments and +5 years experience in staff training. Focused in continuous improvement and also in developing my team so they can unlock their maximum potential and keep growing personal and profesionally. Truly passionate about being centered in our customers and working as one to exceed their expectations. Prior to joining Opportunity Financial as President & CEO, Jared was Executive Vice President at Insureon, the leading online agency for small business insurance. As the #2 executive at the company, he has played a number of senior operating roles including the development of its product platform and online marketing initiatives. He has also served as the company's CFO during this rapid growth phase. In his role as Engage PEO’s Chief Technology Officer, Ralph oversees the company’s technology and process innovation, including all customer-facing technology services. Ralph is a highly experienced senior technology executive. He has led technology operations and strategy and major product development initiatives for a national PEO as well as for leading companies in the chemical and energy industries. 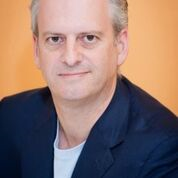 Rob Leggat is a senior strategist for Goddard Gunster. Throughout his more than thirty-year career, Rob has managed communication and public policy campaigns for companies like General Motors Asia Pacific, and Walmart International. Prior to joining Goddard Gunster, Rob oversaw all areas of corporate communication, government and public affairs, crisis communication, and strategic philanthropy for Walmart’s fifteen international markets as vice president of Walmart International corporate affairs. Ms. Lera is the Principal of LCG, Inc., established in 1997. Martha has over twenty years experience of coaching organizations and individuals to reach peak performance and new altitudes. She holds a M.S. HRD, is a certified iPEC coach and served as a faculty member at FIU. Leras clients include but are not limited to Royal Caribbean Cruises, Embraer, Ryder Systems, Master Card, Santander, Marine Harvest, Komatsu, etc. Mr. Lindeman is President and Chief Executive Officer of Mission Health. Prior, he was a Senior Vice President for Revera Health Systems, where he was responsible for overall financial, clinical, operational management and direct P&L oversight for the U.S. division of Revera Inc., a 1.2 billion dollar Canadian-owned healthcare company that is a leading provider of senior care and has been in operation for over 50 years. Mr. Lindeman brings 27 years of senior housing experience to Mission. Lloyd is a successful business leader with 30+ years of sales experience. He has led large sales distributions that produced $50 million or more a year in sales, and recruiting efforts that resulted in hiring over 2,000 sales professionals in one year. He has trained hundreds of managers, from field sales to executive-level leaders. Jeremy Moore is a Principal and Sr. Client Manager for Mercer based in Houston, Texas. 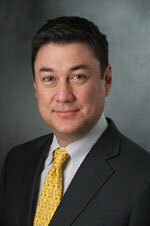 His primary role is business development for Mercer by providing clients with solutions to their complex needs. Jeremy brings his experience of over 20 years of sales leadership in the human resource solutions and business process consulting fields. Over 30 years in technical, infrastructure and operations consulting in the Washington DC area to multi-million dollar commercial and Government organizations. Also engaged in rural economic development, consulting, and community organization. Film Producer. Stevie Award in 2001. B.S. degree from Ohio University. Extensive background is sales and sales leadership with the last decade focused on Sales Process and Sales Productivity. Ramlall Partners LLC provides investor relations, financial and regulatory advice & due diligence (including FCPA Compliance & Monitoring), corporate development, and strategic planning services to public and private organizations. Operational Expertise as a former/current C-Level Executive and Board Member and past winner of several ABA national and international awards. At Yet Analytics, a software company that builds a data analytics platform that puts the power of connected data into the hands of decision makers, Margaret focuses on development and design of connected environments. She is a Johns Hopkins University graduate, working to develop leadership opportunities for women in tech. Rachel Sapoznik is the CEO of Sapoznik Insurance, an industry leader in employee benefit and wellness solutions serving clients nationwide since 1987. She is recognized as a leading healthcare reform expert and a voice for corporate wellness. She recently authored a book, A Passion for Wellness, Healthy Employees, Healthy Bottom Line, which was on Amazon's new releases best seller list for four straight weeks. Steve Scott serves as President/GM Central Region & SVP of Operations for CoAdvantage. His responsibilities include all aspects of operations, inclusive of six sigma methodology and continuous process improvement.Scott holds a Bachelor of Science in Finance, is a Certified Project Manager and is a Certified Six Sigma Master Black Belt. Sushrut has over 21 years of consulting experience spread over 4 continents and 12 countries. He specializes in ERP, Analytics' launching successful ventures and reviving sick companies. Sushrut launched Novus Global Solutions in 2010, a unique consulting firm that delivers onsite consulting cheaper than offshore with an operating model that boasts a paperless and plastic free model. Sushrut also launched Novus Films in 2015 which has been nominated for 12 awards for its first documentary Unfathomable Reality. Tiffany Stiller has been with the Carrier Relations team at BenefitMall since 1999, and was named Vice President of Carrier Relations in 2004. In her current role, Stiller is responsible for negotiating carrier contracts and maintaining strong relationships with BenefitMall's carrier partners nationwide. She is also heavily involved with new product design and implementation. With more than 25 years of experience, Glen Waldman has built his boutique law firm to focus on the trial of complex business, commercial and probate litigation matters in areas such as contracts, fraud, fraudulent transfers, partnership disputes, will contests, construction and real estate, insurance, trademark infringement and banking. I'm accountable for IHG's contact center customer service experience strategy. I lead a team of highly experienced process and curriculum developers, who are responsible for the guest contact process design and training curriculum development. I also direct IHG's Contact Center Quality Assurance Team, Customer Care Executive Liaison Team, Guest Relocation Support Team, Insurance and the Customer Care Hotel Liaison Team. The Stevie Awards are delighted to announce the names of the five distinguished women who will chair the final judging committees of the 2014 (11th annual) Stevie Awards for Women in Business competition. The Stevie Awards for Women in Business are the world's top business awards program for female entrepreneurs, executives, employees, and the organizations they run. Finalists in this year's Stevie Awards for Women in Business were announced last week. Gold, Silver and Bronze Stevie placements from among the Finalists will be determined in final judging, to begin next week. Results will be announced at the 11th annual awards dinner in New York on November 14. Tickets are now on sale. 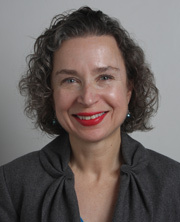 Susan Johnson is Director of Communications for the Women Presidents’ Organization (WPO). WPO is a membership organization for women presidents and CEOs of privately held, multimillion dollar companies. Through global, confidential, and collaborative peer-learning groups, the WPO accelerates business growth, enhances competitiveness and promotes economic security. Working at the local, national, and international levels, Susan oversees marketing, public relations, and brand building initiatives for WPO, whose mission is to accelerate business growth, enhance competitiveness, and promote economic security for multi-million dollar, women-led companies. Prior to joining WPO, Susan had her own business, developing strategically creative marketing campaigns to give brands, services, and nonprofits a distinctive voice, personality, and presence. 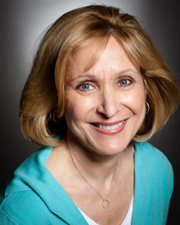 A seasoned public relations agency professional, Susan has a strong background managing strategic business-to-business and business-to-consumer communications that build brand reputation and value, and support business objectives. Having had the privilege of launching and sustaining many well-known brands, she’s also helped startups come to market and built thought leadership platforms for nonprofit organizations. Her work at Fleishman Hillard and Rowland Worldwide has been recognized with the industry’s highest honors, including a Silver Anvil from The Public Relations Society of America. Named a fellow of Columbia University’s Age Boom Academy, she honed her social media skills at the Columbia Graduate School of Journalism. 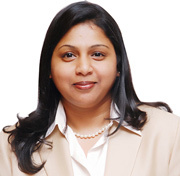 Redickaa Subramanian is a global advertising, marketing, and technology expert and the co-founder and CEO of Interakt Digital Communications Group, a digital marketing and communications firm headquartered in Singapore. Through her strategic insight and hands-on leadership, she has guided Interakt’s growth to approximately 200 associates with operations on four continents. As Interakt’s chief strategist, she specializes in helping global companies deliver their brand promise inside/out by aligning all audiences and messaging, internally and externally. She has worked with some of the world’s most respected brands, including Citibank, Ecolab, Lenovo, Nalco, Sony, Hewlett-Packard, Acer, HSBC, Motorola, Levi’s® and Estee Lauder Companies. Redicka earned her MBA at the State University of New York at Buffalo and was named “Outstanding Entrepreneur of the Year 2007” by DBS-SICCI. Stephanie Azzarone is founder and president of Child’s Play Communications, the first agency to specialize exclusively in marketing to moms. Child’s Play celebrated its 25th anniversary last year (2013). Stephanie is creator of the award-winning Team Mom™ blogger network, the voice behind the blog Mom Market Trends, and winner of Bulldog Reporter’s Social Media Innovator of the Year Award. She also received an Honorable Mention in this year’s Enterprising Women of the Year Awards. Stephanie has been quoted on the subject of marketing to moms in media ranging from PRWeek through The Wall Street Journal and writes a monthly post for the industry publication Engage:Moms. Disney, Warner Bros. Consumer Products, Heinz, Hewlett Packard, TIME Inc., and the Wildlife Conservation Society are among her recent clients. From the first year of operations, Katrin and Rippler have earned numerous awards in SPINN—the Swedish equivalent of the IPRA Golden Awards—for both business-to-business and business-to-consumer clients. Last year, though, was the first year Rippler entered any international competitions and as a result Katrin won the Gold Stevie® Award for Communications or PR Campaign of the Year – Public Affairs and Public Service with “For a more humane city” – displaying homelessness through a nationally covered photo campaign. The campaign “For a humane city” was also selected as one of the winners in IPRA last year. 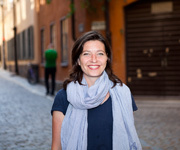 On a more personal level, Katrin is dedicated to work against ethnic and racial intolerance, being one of the co-founders of Oss alla, a national network with about 20,000 followers, writing and co-signing opinion pieces, commissioning and promoting research to combat myths about refugees and immigration. She recently launched a campaign,“the mirror of prejudice,” targeted at high school students and aiming to promote classroom discussions on tolerance issues. Katrin and her Rippler co-founder have also started an informal network for women, meeting twice a year to help promote other women in business. Katrin has a Bachelor of Arts in both journalism and international relations from the University of Minnesota. As Senior Director of Marketing for ArcSoft consumer imaging applications and a photography black belt, Caroline Tien-Spalding is always looking to turn pixels into magic pixie dust. Caroline has built an impressive track record of success in the mobile app and consumer markets, and was the driving force behind bringing ArcSoft’s Perfect365, a digital makeover app, to the forefront of over 45 million users. 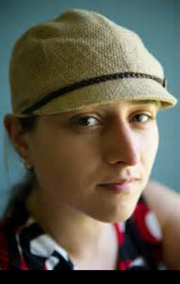 Prior to ArcSoft, Caroline was instrumental in successfully launching the renowned photo app Camera Awesome with SmugMug, and spreading the word on wireless memory cards at Eye-Fi. Caroline has been a speaker at CES, Macworld, SXSW, and Mobile Mondays in Silicon Valley. She is a University of California, Berkeley alumna (go bears!) and has a Masters in Linguistics. She speaks on a wide range of topics related to imaging technology, including face recognition, Internet of Things, and connected home. Past engagements include Macworld, CES, CTIA, SXSW and Mobile Mondays. The Asia-Pacific Stevie Awards gala awards banquet took place this past Friday in Seoul, South Korea where five Grand Stevie Award winners were announced along with Gold, Silver, and Bronze Stevie winners. The Grand Stevies were conferred upon the five highest-scoring Gold Stevie Award-winning entries from the five nations that submitted the most entries to the 2014 Asia-Pacific Stevie Awards. Gold, Silver and Bronze Stevie winners were announced in April. Maras Group, of Adelaide, Australia. Steve Maras, Managing Director & CEO of the firm, won Gold for Services Executive of the Year in Australia. PartspARTs & IMSEONOC, Seoul, South Korea. for Services Company of the Year. Delta Air Lines - Asia Pacific Customer Engagement and Sales Support Center, Singapore, Gold Stevie winner for Customer Service Leader of the Year. The Asia-Pacific Stevie Awards are the first new Stevie Awards program to be launched in seven years. This business awards program was open to all organizations operating in the 22 nations of the Asia-Pacific region. The 2014 awards offered 18 categories to choose from including Technology Company of the Year, Servcies Company of the Year, and Fastest Growing Company of the Year. We congratulate those who were awarded with a Stevie Award this past Friday. Join the mailing list for the 2015 Asia-Pacific Stevie Awards and you'll be emailed the entry kit as soon as it's available this fall. The final entry deadline for the 2014 (first annual) Asia-Pacific Stevie® Awards, the first business awards program to recognize achievement in business throughout the entire Asia-Pacific region, has been extended through 31 March. Information about the program is available online at http://Asia.StevieAwards.com. 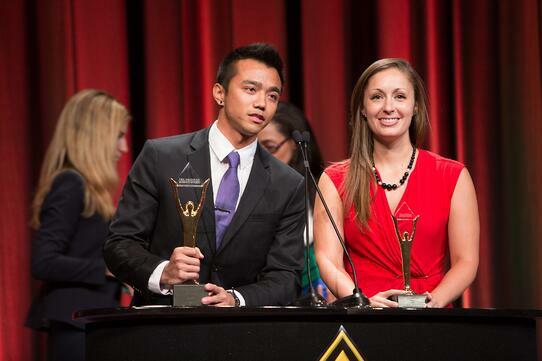 The Stevie Awards are widely considered to be the world's premier business awards programs. The Stevie Award trophies, made by the company that makes the Oscar and other major international awards, are among the world's most coveted prizes. The awards will culminate with a gala awards banquet at the Lottel Hotel in Seoul, South Korea on Friday, 30 May. The Stevie® Awards today issued a call for entries for the 2014 (first annual) Asia-Pacific Stevie Awards, the first business awards program to recognize achievement in business throughout the entire Asia-Pacific region. Information about the program is available online at http://Asia.StevieAwards.com in seven languages, including Chinese, English, Indonesian, Japanese, Korean, Malay and Thai. The Stevie Awards are widely considered to be the world’s premier business awards programs, conferring recognition for achievement in the workplace in programs such as The International Business Awards, The American Business Awards, the Stevie Awards for Sales & Customer Service, and the Stevie Awards for Women in Business. The Asia-Pacific Stevie Awards are the first new Stevie Awards program to be created in seven years. The early-bird entry deadline for the 2014 Asia-Pacific Stevie Awards, offering discounted entry fees, is 6 November. The final entry deadline is 4 December. Late entries will be accepted through 21 January, and Stevie Award winners will be announced in mid-February. Judging for the competition will be conducted in two rounds. The first round of judging will determine Gold, Silver and Bronze Stevie Award winners on a national level in each category. Those winners will be announced in mid-February. All of the Gold Stevie Award winners will then compete in the second round of judging for the right to be named the Grand Stevie Award winner in their categories for the entire Asia-Pacific region. Gold, Silver and Bronze Stevie winners will be honored, and Grand Stevie Award winners announced, at a gala awards banquet in the region in late March. Judging committees for the Asia-Pacific Stevie Awards are currently being formed. Those interested in participating in the judging process are encouraged to apply now. Stevie Awards competitions typically feature more than 200 executives around the world as judges. To learn more details about the Asia-Pacific Stevie Awards, visit our Frequently Asked Questions webpage.